In Japan’s housing market, there has always been one verity: Certain parts of Tokyo will always be popular and, therefore, profitable for developers. However, according to various media reports, that verity may have collapsed, at least when it comes to new condominiums. In its Sept. 17 issue, the weekly magazine Shukan Gendai ran a long report on real estate in Setagaya, which is probably the most desirable of all the city’s 23 wards. 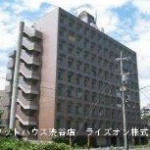 According to the article, the common wisdom is that “whatever is built in Setagaya can be easily sold,” and that in the past, new condominium complexes would sell out as soon as they went on sale, well before construction even started. Developers, in fact, count on selling out since it gives them a financial guarantee to proceed with construction. But in the last year there have been a number of new condominium buildings that have not sold out immediately. Even worse, there are unsold units even after people had started moving in. 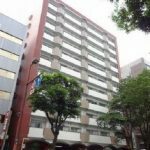 Of the 35 condominium complexes in Setagaya that opened to owners in July, 23 still have unsold units. One real estate journalist told the magazine that in his 30 years of covering the housing market, it is the first time this has ever happened. He estimated that about 10 percent of all the new units in these buildings remain vacant. Consequently, the developer is desperately trying to sell these units while keeping a low profile, since other homeowners in the building could become angry if they discover the apartments are being sold at prices lower than what they paid. The developer of one building completed this summer near the Number Eight Loop Road — long considered one of the city’s most coveted areas due to its proximity to transportation and good schools — is particularly desperate because 20 percent of the units are unsold, including a corner apartment with a southern exposure, which is usually the first to go. Potential buyers are being lured by premiums such as merchandise certificates and even free “financial advice” from certified public accountants. 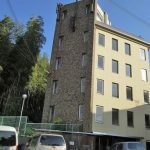 If a party signs a contract, they can receive a “gift worth ¥1 million.” One local realtor also told Gendai that he thinks the developer has started knocking down the price “by a six-digit amount,” though no one is talking about it openly. Most of the unsold units are in the ¥60-¥70 million range. Even a new building in trendy Shimokitazawa has some empty apartments, even though it’s located only five minutes from the station. It isn’t just Setagaya. Apparently, the tower condominium boom on the Tokyo waterfront is also on the wane. At the end of August the land ministry released its trimonthly Report on Market Trends of Land Use in Key Cities, which revealed that sales of new condominiums in the Tsukuda-Tsukishima area, just across the river from Ginza, has dropped significantly since last year. The ministry theorizes that “higher income families have stopped buying condominiums for the purpose of asset investment.” This downward trend is also conspicuous in the Harumi and Toyosu districts. 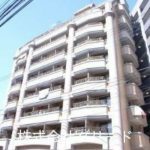 Gendai says the prices of tower condos had been rising steadily for years without any deterioration in sales, but in the last year the more expensive new units have become harder to push, thus indicating that the price ceiling for first-time home purchasers may have been reached. One of the main reasons prices for new units have gone up is the shortage of construction materials and workers due to the rebuilding in the disaster-hit areas of northeastern Japan and construction for the upcoming Tokyo Olympics. Developers can’t cover these added expenses without raising prices. The issue throughout the waterfront is the lag time from planning to selling to building. There are still a lot of tower condos under construction, with even more in the planning stage, but there are already completed buildings with unsold units. The view in the industry is that condo sales have peaked, and that prices will have to be adjusted downward, which means trouble for developers, who peg future prices to current costs. Gendai goes as far as to say that “the waterfront is finished” as a guaranteed money maker for housing developers. But prices should be dropping in Tokyo, since they’ve been abnormally high for years, at least as far as middle-class families are concerned. 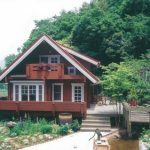 The rule of thumb when buying a home is to spend no more than four times your annual household income, but in the area within the Yamanote Line the average price for housing is 15 times the average Japanese salary. In eastern Tokyo it’s 10 times the average salary. 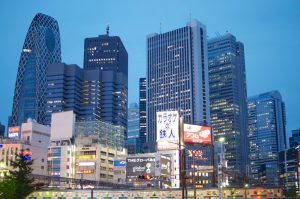 An employee for Mizuho Securities Research told Gendai that the number of unsold new units in Tokyo is close to the number in 2009, when a real estate mini-bubble burst. Similarly, the rash of unsold units means the Tokyo condo bubble has probably ended. So while it was surprising, given the price-to-salary ratio, that the bubble occurred in the first place, it shouldn’t be surprising that it is over. Of most concern is shrinking sales of high-end units, which developers rely on to pay for a building. 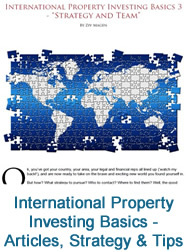 These were mainly bought by rich families and foreigners as investments, but lately the government has started cracking down on real estate purchases meant to avoid inheritance and other taxes. With China also possibly entering into a recession, Chinese investors are becoming skittish. As a result, new condos in Nihonbashi that were priced at ¥4 million per tsubo (3.3 square meters) a year ago, are now down to ¥3 million per tsubo. At that price, developers can’t make a profit. This is a huge problem since many developers have already paid lots of money for land for condominiums that haven’t been built yet. The risk is becoming so great that there is a rumor one major developer will soon be getting out of the condominium business. The good news for buyers is that this trend pushes down prices across the board: condos, whether new or used, will likely continue to be cheaper than before in Tokyo. The real estate industry was expecting this eventuality, but it was not supposed to happen until after the 2020 Olympics. They saw big growth leading up to the Games, but it seems that’s not going to be the case. Share the post "Surprising Number of Vacancies in Tokyo New Condos Ahead of 2020 Olympics"